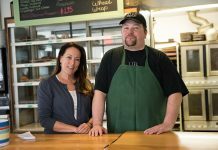 Delish in a Dish opens in Edgartown. There are few feelings more satisfying than escaping the heat on an oppressive August day. 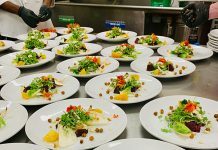 Walking into Delish in a Dish for its grand opening on August 3 achieved that satisfaction. The new ice cream shop at the Triangle in Edgartown has a cooled storefront to serve its chilled treats. Owner Emily Serio was inspired to open an ice cream shop next to her spa on a recent trip to her home country, Cambodia. There, rolled ice cream is popular, and she thought it would be a great addition to the Vineyard ice cream scene. “It’s refreshing to make something fresh,” she said. Delish in a Dish doesn’t look like a traditional ice cream store. There are no tubs of ice cream on display, or soft-serve machines on the back wall. 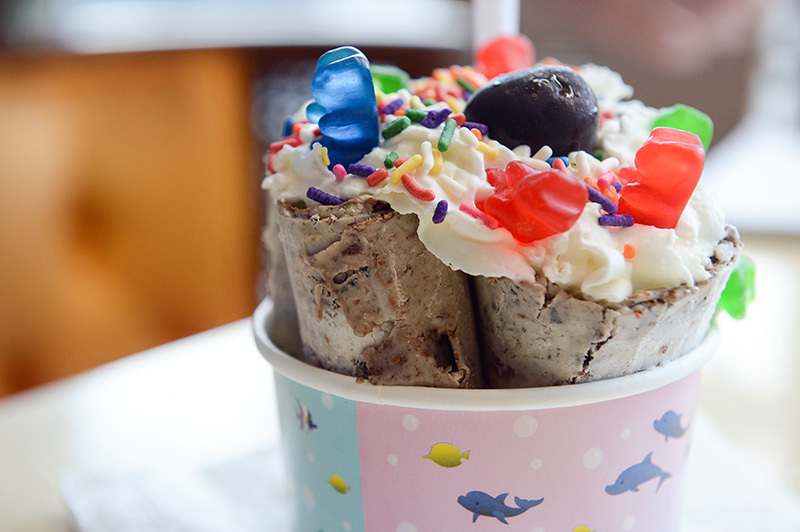 Instead, each serving of ice cream is made to order. 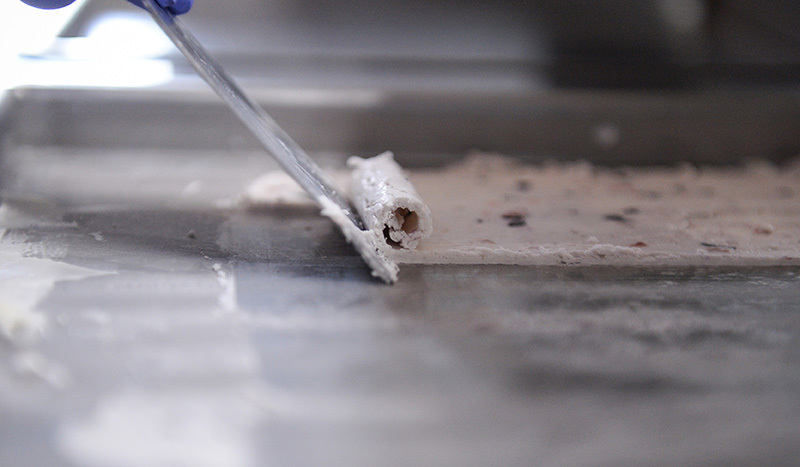 Rolled ice cream is made by pouring the ice cream mixture onto a supercooled plate. 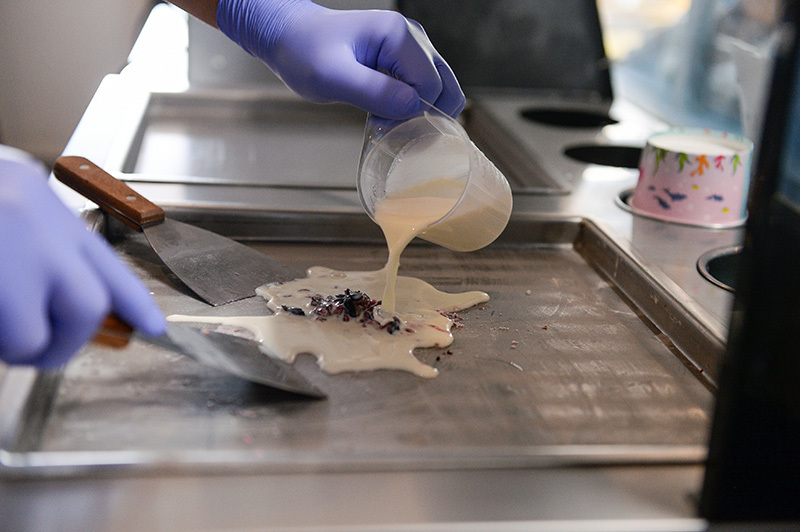 It is then mixed and spread into a thin sheet on the plate, which helps the mixture freeze quickly, and it becomes ice cream in a few minutes. The sheet is then rolled into four logs, and put in a dish to serve with any toppings the customer chooses. 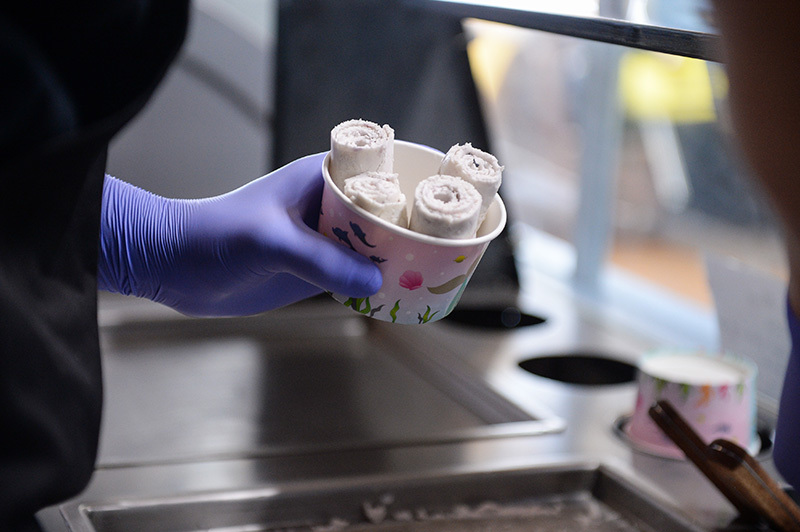 This method of making ice cream allows for the customer to customize his or her ice cream flavor. I ordered a dish of Nutella and Oreo ice cream. The guy behind the counter held up a spoonful of Nutella. “Is this enough?” he asked. “A bit more, please,” I answered, and he dished out a second spoonful for my ice cream. Instead of a list of flavors corresponding to certain tubs, and paying by the scoop, there’s a menu of ingredients you can add to your ice cream. Each dish comes with four rolls. Watching them mix and roll your ice cream is a performance in and of itself. 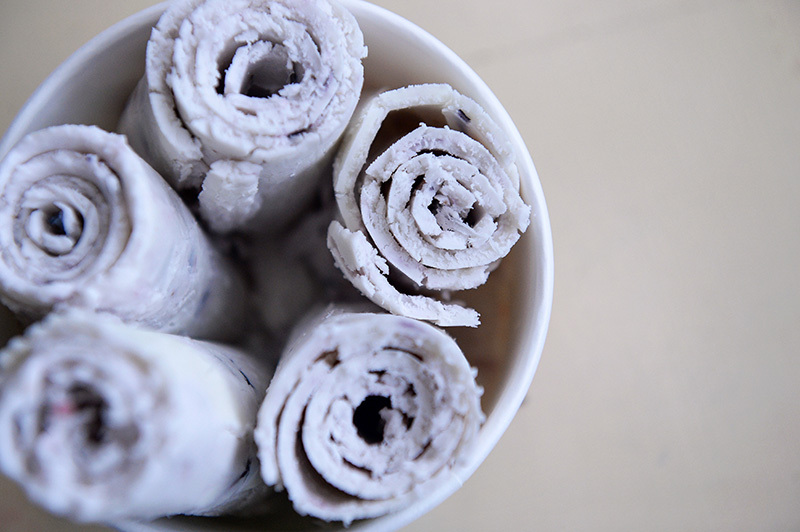 They use spatulas that look somewhat like paint scrapers to gather and mix the ice cream, and then smooth it out and roll it up. 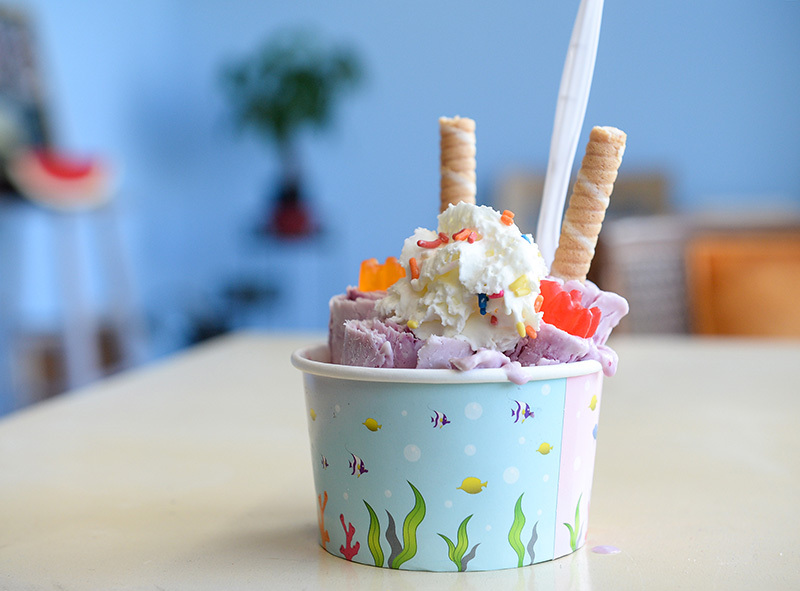 If ice cream isn’t your speed, Delish in a Dish also serves bubble tea. Or if you are looking for something savory, they serve spring rolls. The shop features an eclectic collection of funky tables and mismatched chairs. I enjoyed my ice cream on an orange velvet wingback chair that looked like it could have been picked up from a local antique shop. 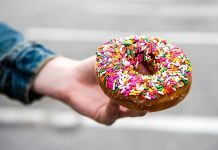 If you can beat your way through the Triangle’s infamous traffic, consider Delish in a Dish as an opportunity to treat yourself. The ice cream is at the pricey end, even by Vineyard standards. A bowl costs $8.50. Before the sticker shock scares you away, try it out. You could find your new favorite local secret.